I am one happy customer!! I am absolutely in love with my new body and I feel that I made the best choice with Dr. Golshani. He listened to me and my results couldn't have been any better! Thank you! Do you find yourself self-conscious or self-aware of your nose? Are you never satisfied with pictures because you dislike the way your nose appears? Does your nose feature lumps, bumps, or crookedness? Ethnic Rhinoplasty – Everyone’s Nose is Unique. Ethnic rhinoplasty in Beverly Hills is an emerging procedure that women from all ethnicities seek in order to dramatically improve the appearance and shape of their nose. The results are life changing for many patients who have been dissatisfied with certain characteristics of their nose. You can expect that Dr. Golshani will correct these traits without altering the curvature of nostril, as a way to avoid what is known as the “triangular look”. Dr. Golshani will take extra care in preserving the traditional bone structure and profile in an ethnically sensitive manner. The term “Latin” encompasses a broad range of individuals and Dr. Golshani’s approach to perfecting your nose will become dependent on the cultural heritage of the patient. There’s a very large degree of variation amongst patients of Asian culture that requires a personal consultation with Dr. Golshani to find out exactly how he will perfect your nose. The perfect nose is neither too long, too short, too round, nor too pointed. It takes a well-trained plastic & reconstructive surgeon to make this perfect nose become a reality. This is where Dr. Golshani can help. Dr. Golshani is a double board-certified plastic & reconstructive who operates out of his own surgical center that is constantly being updated with new tools, techniques, and the latest advances in technology. Outside of work, he continues to perfect his skills because he wants the absolute best for his patients. Plastic & reconstructive surgery is considered an art & it’s been his passion for several years. Meet with Dr. Golshani in Person! Chances are you may have read tons of different information online in regards to ethnic rhinoplasty, but you’re having a difficult time making sense of it all. The next best thing you can do in your search for information is to schedule an appointment with Dr. Golshani. 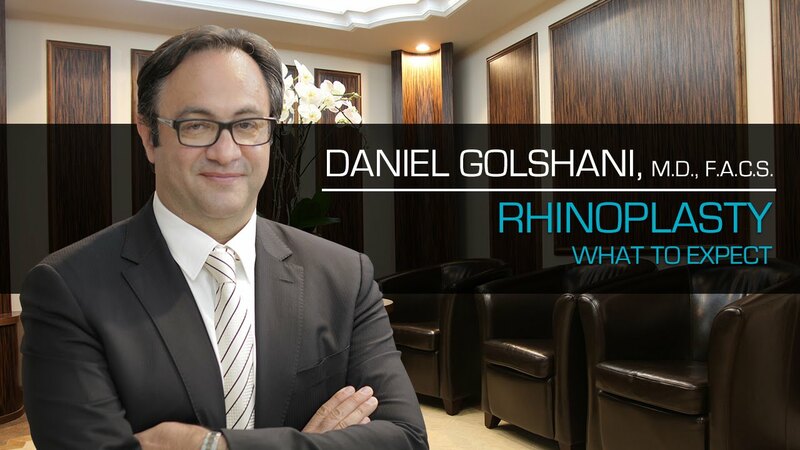 No matter how much information you find & read online, it will not amount to the insight and knowledge you will gain from a 1-on-1 consultation with Dr. Golshani. To schedule your appointment, please call us @ (310) 274-3481 or conveinetly schedule your appointment online. Dr. Golshani provides Rhinoplasty in Beverly Hills and surrounding cities including Los Angeles, Century City, Westwood, & many more. Read more about The Perfect Nose & Nose Enhancement.